The mobile phone is the device we depend on most today, and smartphones are getting better day by day with manufacturers outsmarting themselves. In view of life beyond chargers, cables and dying phones, researcher have invented a prototype of the cell phone that works without a battery. 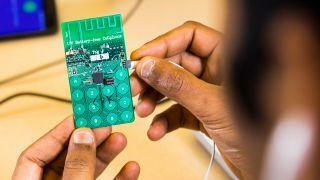 Engineers at the University of Washington in the USA have taken a fascinating step in a different way of powering a phone. The phone which can make or receive a call was designed using commercial and old components. Rather having a battery, the cell phone will source for power from its environment either from ambient radio signals drawn by an antenna, or ambient light collected by a solar cell which is as small as a size of a grain of rice. Meanwhile, the device consumes just 3.5 microwatts of power during its use. Shyam Gollakota, an associate professor in the Paul G. Allen School of Computer Science & Engineering at the University, said they built a functioning device which consumes nearly zero power which they believe its first of its kind. From Analog to Digital Transformation. The team made a Skype calls using the battery-free phone, demonstrating that the prototype can receive and send speech and communicate with a base station. According to a published report in the journal Proceedings of the Association for Computing Machinery on Interactive, Mobile, Wearable and Ubiquitous Technologies, the battery-free cell phone takes advantage of tiny vibrations in a phone’s microphone or speaker that occur when a person is talking on a phone or listening to a call, meanwhile an antenna connected to those components will now convert that motion into changes in standard analog radio signal emitted by a cellular base station. This process encodes speech patterns in reflected radio signals in a way that uses almost no power. 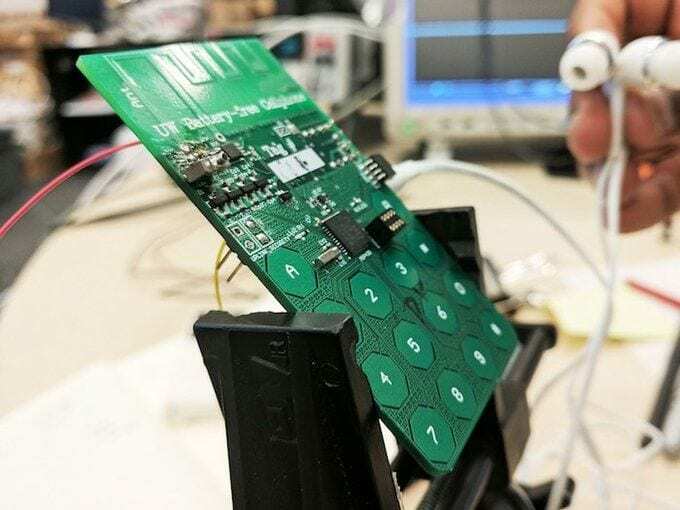 To transmit speech, the device uses vibrations from the phone microphone to encode speech models in the reflected signals then it converts encoded radio signals into sound waves that are picked up by the phone’s speaker to receive a speech. The user presses a button to switch between the “transmitting” and “listening” modes. However, now the battery-free phone needs a custom base station to send and receive phone calls. But the team says there’s no reason the technology couldn’t be embedded into the standard mobile network infrastructure. You could imagine in few year times that all cell towers or Wi-Fi routers could come with their own base station technology integrated into it. From the study, the calls quality is not yet perfect and requires people to click a button to speak and then press it again to listen. And even a touch screen device would need about one hundred thousand times more power than what the battery-free phone can offer. Notwithstanding, it is a welcome development in cell phone manufacturing, and we think it could impact everyday devices specifically smartphone as an era where we no longer have to plug our gadgets into charge may soon be here. This will be really cool if it is finally perfected for mass production. Nice article.